​Free Admission, court-side seating, free food/beverage provided by our sponsors!!! 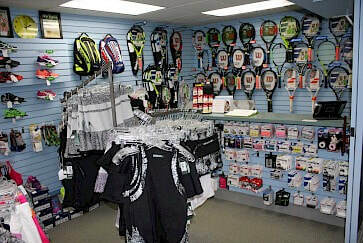 The Little Shop of Tennis, Courtside at Chestnut Ridge Racquet Club, is now open for business. LST carries name brands including Nike, Fila, Wilson and more. In the market for a new racquet? Demo a racquet for free. Need your racquet re-strung? Stop in. We carry other accessories as well, to help you with your "A" game.